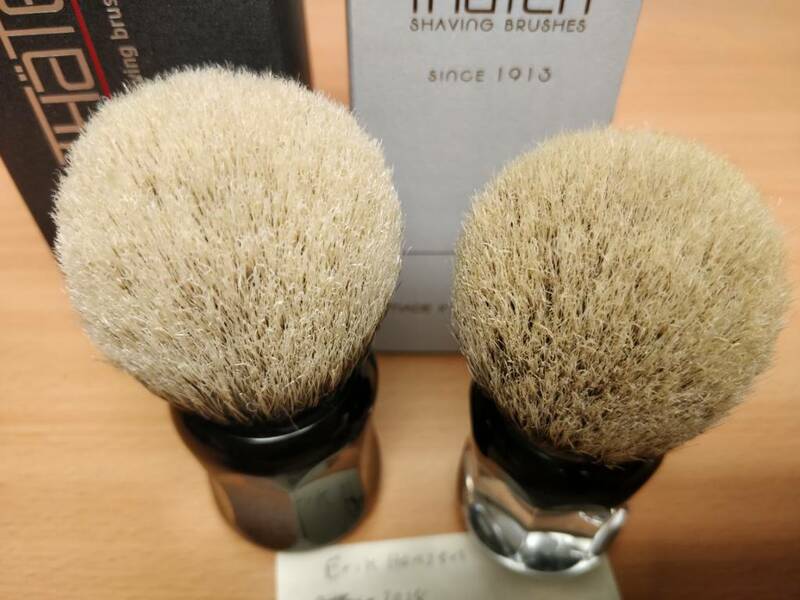 Loads of brushes for sale (posted for sale on other sites). 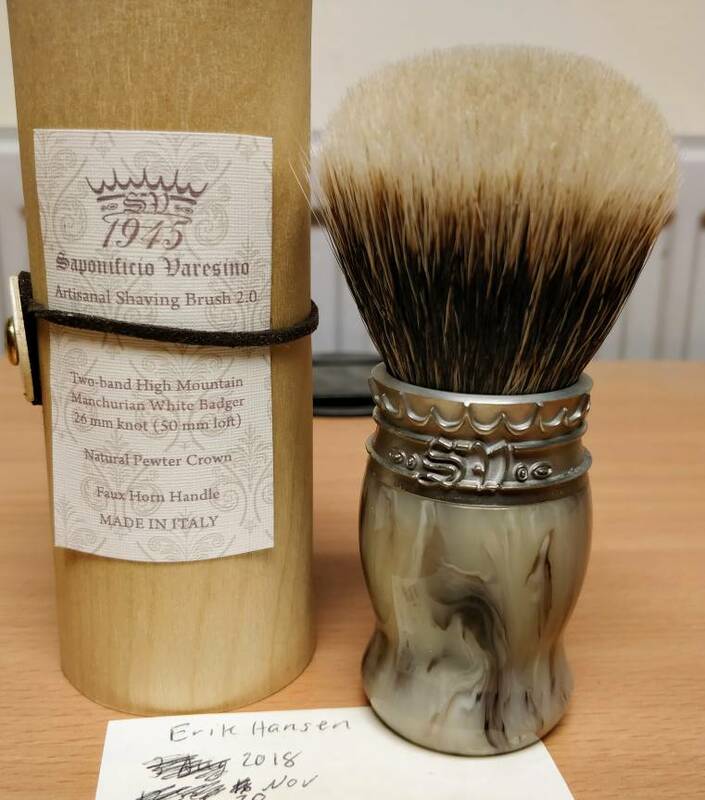 The only brush trade I would be interested in is a Declaration B6 brush (I prefer Jefferson handle shape). 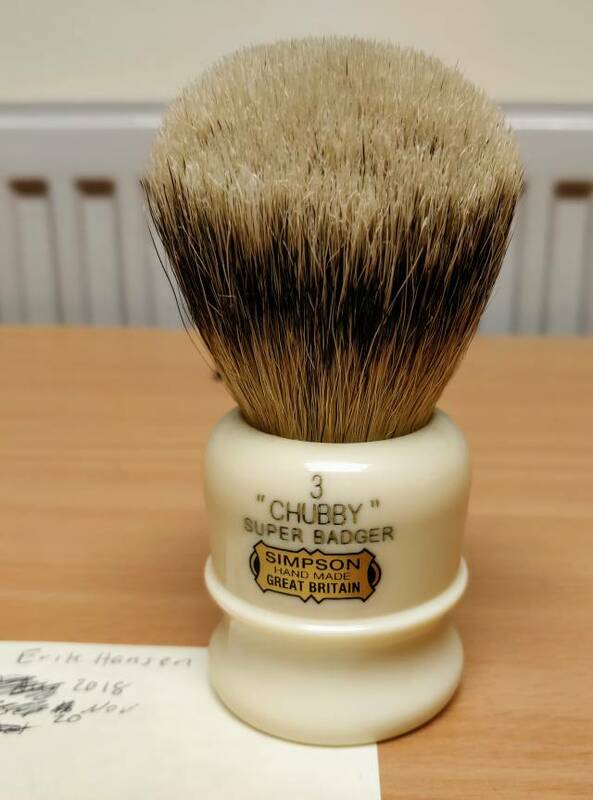 $SOLD$ -Simpson Chubby-3 "Super" 3-band brush. Huge brush with super soft hooked tips. 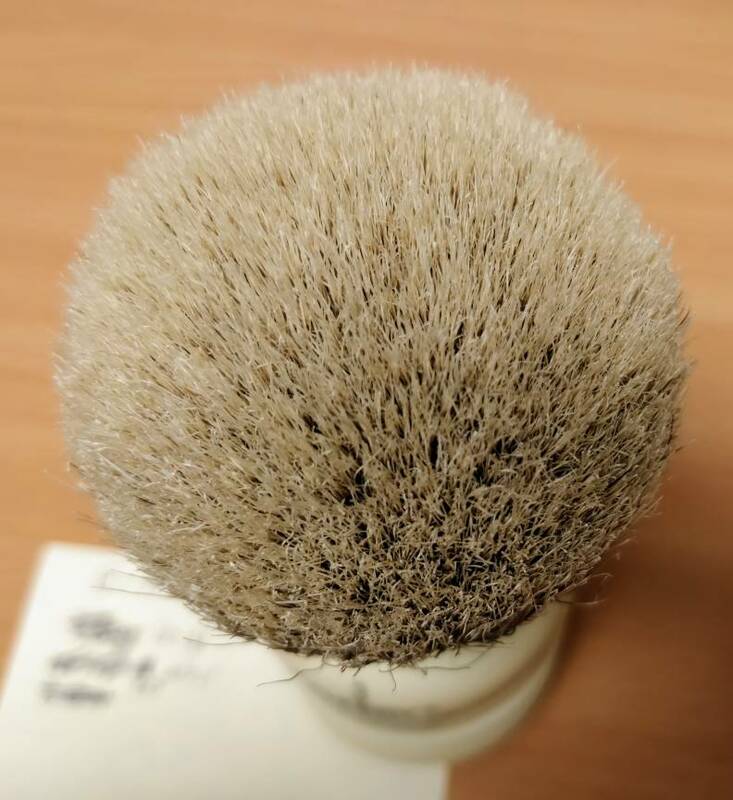 Definitely the biggest brush I own. No box. Beautiful handle in faux-horn with natural pewter collar. Set with a 26mm "white badger" knot, but the knot feels much bigger. Retail €150 EUR. My-price is $150 USD or £117 GBP. $SOLD$ -Thater 49125-2 clear plexiglass handle, 26mm 3-band bulb. Hooked gel-tipped soft knot. Very hard to find (no longer produced). Beautiful one-off handle in translucent green & gold flake resin. 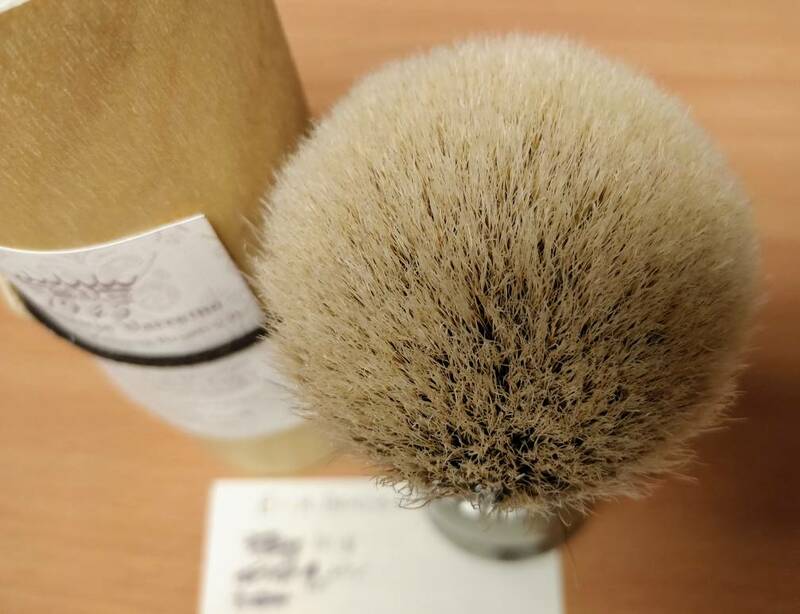 Set with a 24mm Declaration Grooming "Batch-5" fan knot. 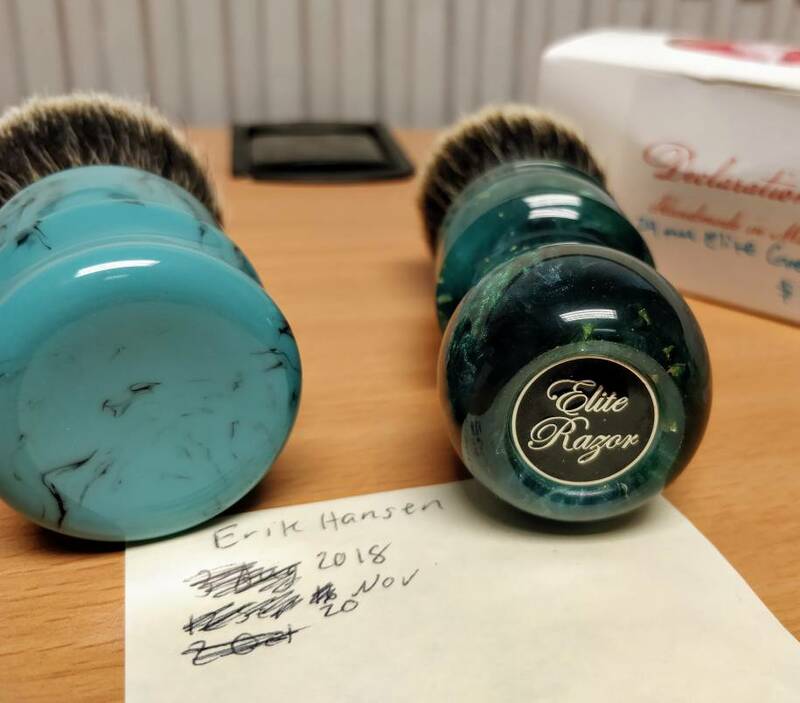 $SOLD$ -Bret Mozingo light-blue marble resin handle (Chubby style) with a 27mm Declaration Grooming "Batch-3" fan knot. UK/US/EU postage included in all prices. Payment by PayPal (G&S fees included). Deals to be negotiated on multiple buys. 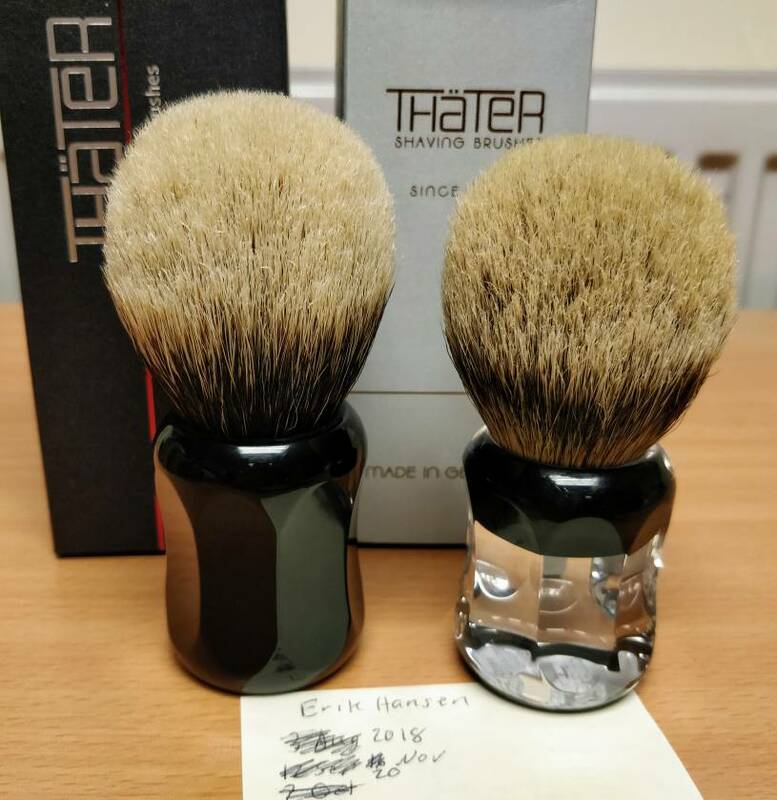 The Thäter is a great brush, but there is a 28mm 3-band for sale right know on the BST for $110 USD. You’re price looks a bit high. 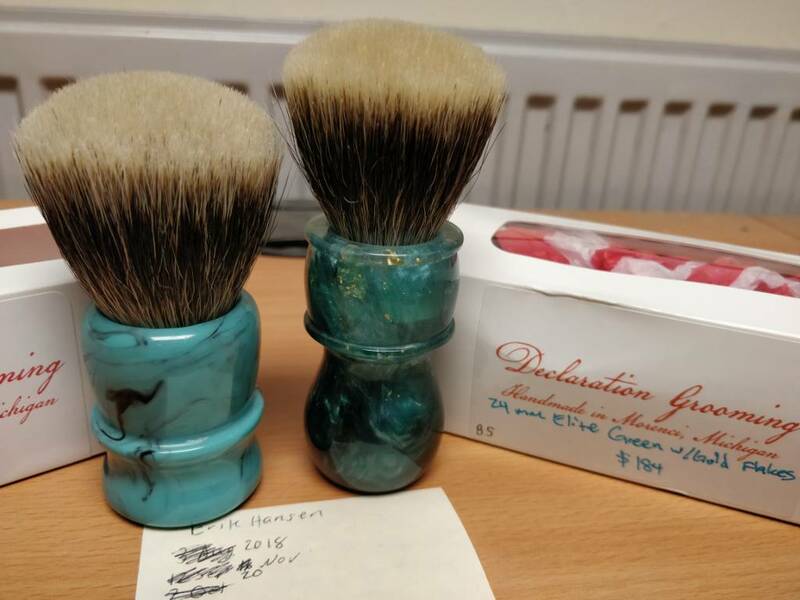 My, oh my - are there some beautiful brushes here! GLWTS. 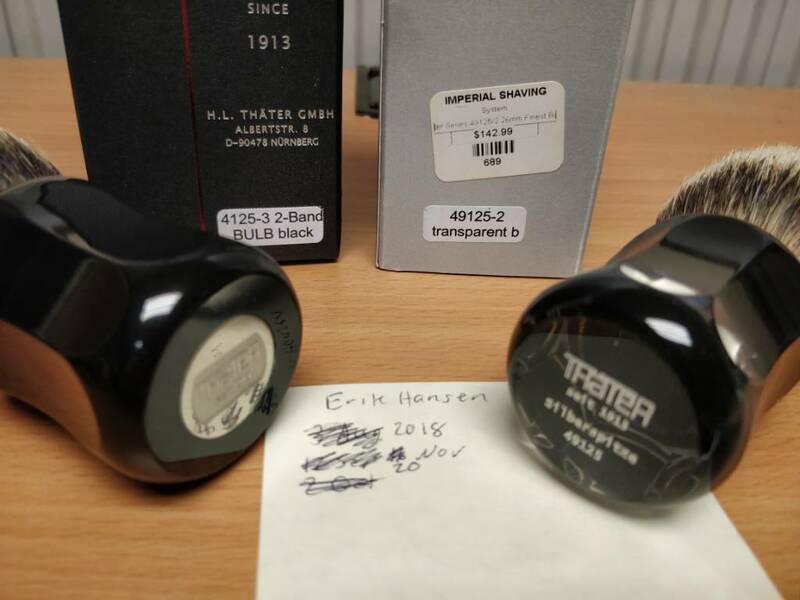 Updated post with sold items. 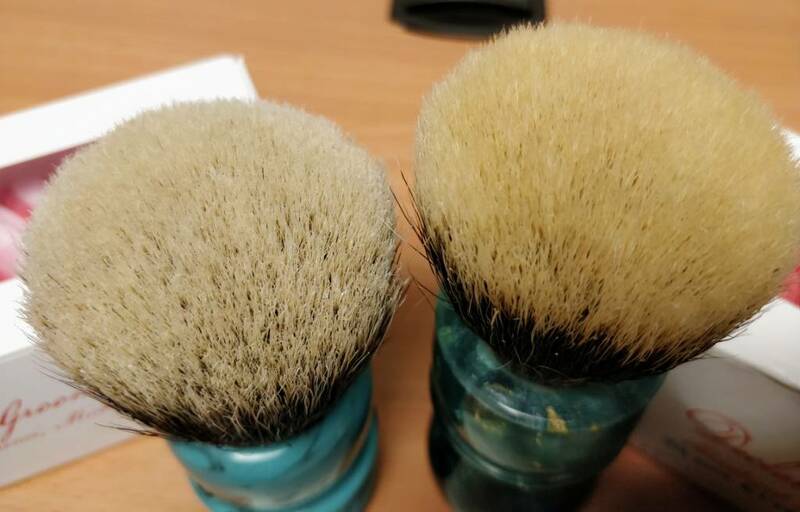 Only brush left is the CH3.